La Porchetta Glen Waverley offers a great range of gluten free options on their menu. Popular choices include an excellent selection of gluten free medium pizzas (most of the pizza toppings are gluten free). The pizza bases are prepared off-site, and all care is taken when making the pizzas, including separate utensils and pizza trays. Pasta and risotto dishes can be made gluten free, with a choice of 13 gluten free sauces! Additionally, some of the meat sauces are gluten free or can be made gluten free, so a good selection of main course items can also be prepared gluten free. When ordering anything from the menu, please ensure that you let staff know about your dietary requirements. With mainly indoor seating, there are several tables situated outside. 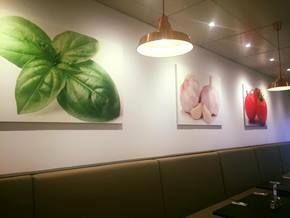 La Porchetta Glen Waverley is fully licensed.